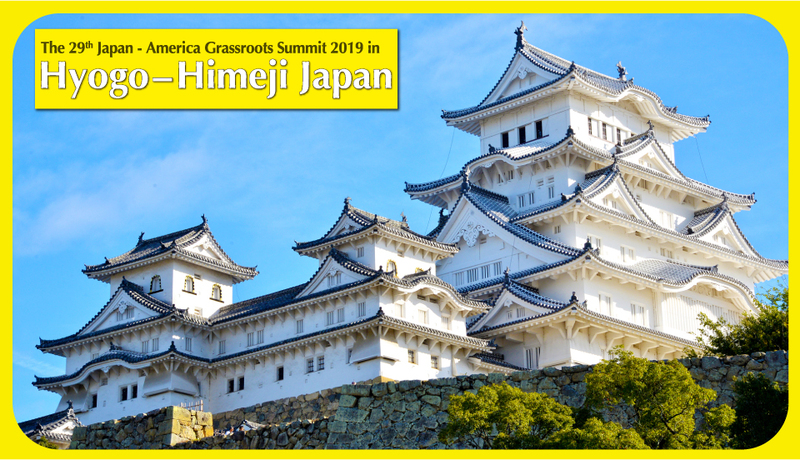 The Japan-America Grassroots Summit is an annual large-scale meeting of Japanese and American citizens, held alternately in Japan and America. It celebrates the historic friendship between Nakahama Manjiro and Captain William Whitfield. Whitfield rescued the marooned Manjiro in 1841 and shared his own home. Later, Manjiro’s rare command of English and salutary experience in America became pivotal to the Japan/US relationship after Perry’s arrival in 1853. Each year, Japanese prefectures and American states alternate as hosts for about a week, sharing their homes and the unique features of their communities. More than 100 people usually participate as guests, enjoying sight-seeing, cultural activities, welcome and closing ceremonies, and staying with a host family. The Grassroots Summit Consists of the Three Exchange Events. People of all ages and backgrounds participate in the Summit, but they all have on thing in common: a desire to create stronger ties and greater understanding between the people of Japan and America. The Grassroots Summit starts with Opening Ceremony and Welcome Reception. Welcome speeches and local cuisines is offered at the ceremony and the reception. This convivial party is the first opportunity for participants to meet the people of their host region, including volunteers and dignitaries. During this program, participants will experience the unique culture of the local area through the four days and three nights homestay. The local town leaders and host families work together to share the best features of their town. This person-to-person exchange is the essence of the Japan-America Grassroots Summit. The Closing Ceremony and Farewell Reception are the final events, allowing everyone to reflect on, and celebrate their experiences. There are attended not only by the participants but also by host families, volunteers and others connected in the Summit. True grassroots exchange builds on this depature point. Registration Deadline: May 5, 2019 at 5:00 PM.